The theme of this piece is Mt. 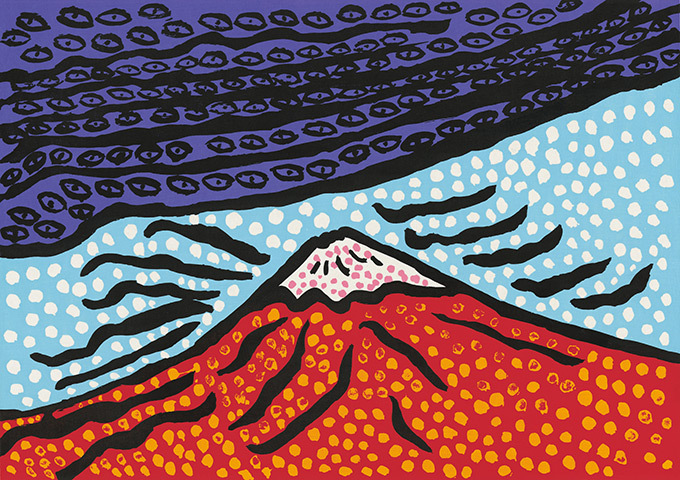 Fuji, the symbol of Japan that was included on the UNESCO World Heritage list. 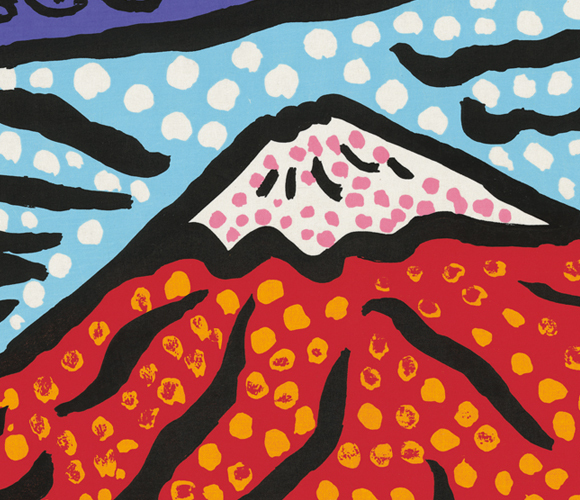 Since ancient times, the graceful mountain has been depicted in numerous ukiyo-e and other works of art. 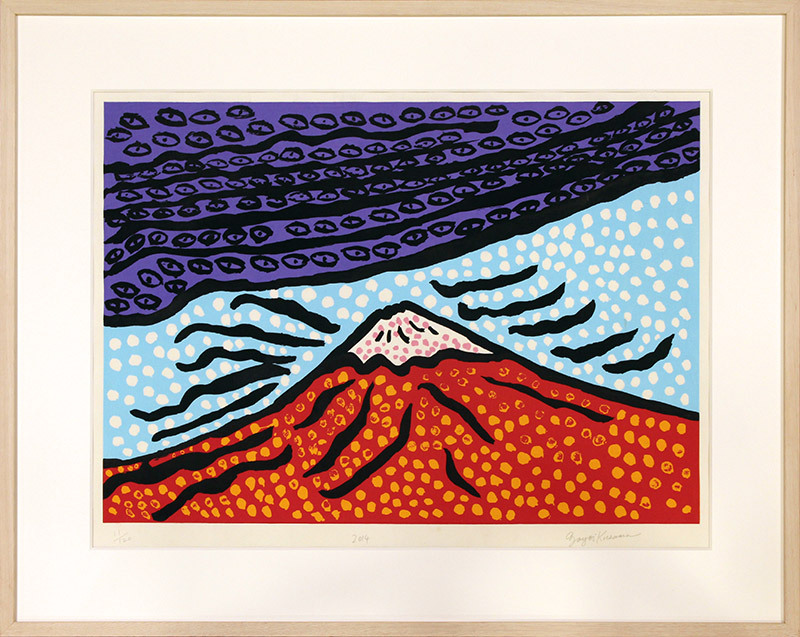 Yayoi Kusama completed this piece in one go after she saw Mt. Fuji up close for the first time and was deeply moved by the sight. The bright red Mt. 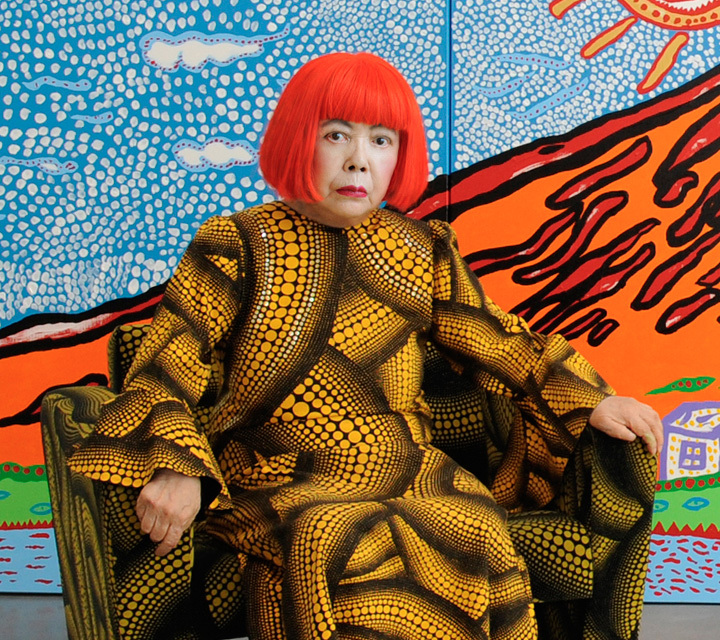 Fuji adorned with countless eyeballs and polka dots, which are Ms. Kusama's trademarks, looks like magma could burst out at any moment and seems to exude a fierce energy from within. 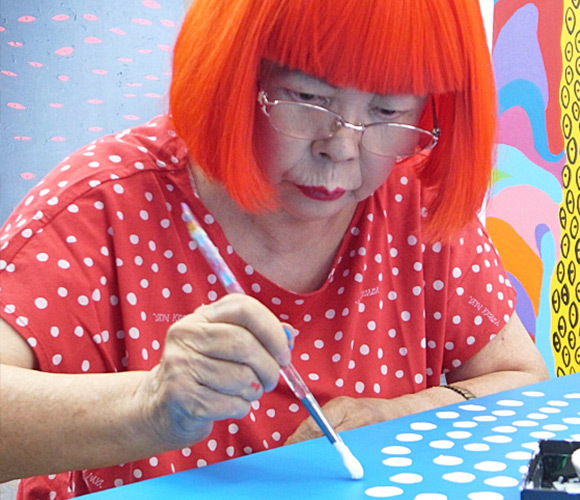 Yayoi Kusama paints her trademark polka dots in the sky. The outline of the mountain drawn with powerful brush strokes conveys the energy of Mt. Fuji. Countless eyes stare out from the dark clouds in the sky. 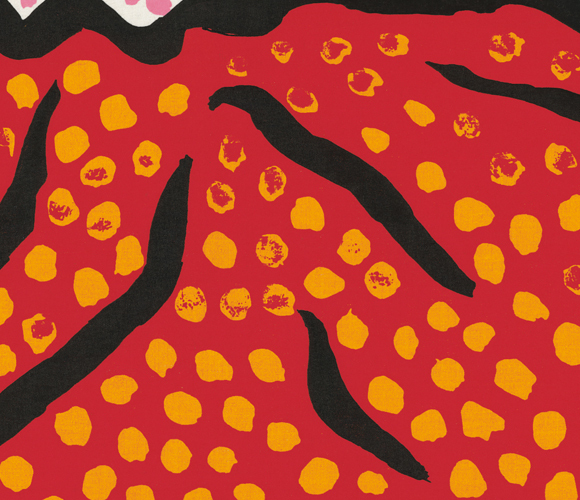 The nuanced colors and blurs in the polka dots are recreated as Ms. Kusama's brushwork is faithfully reproduced. 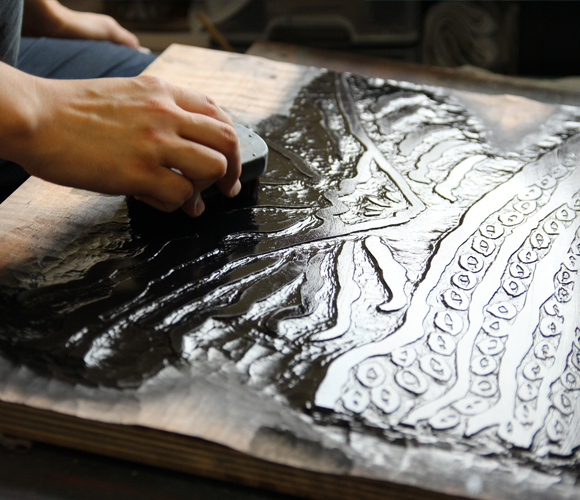 The carver feels Ms. Kusama's brushwork as he faithfully reproduces the lines on a woodblock. 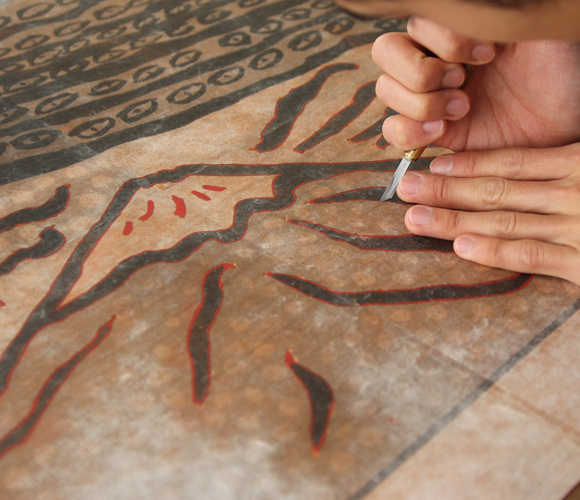 Ink is placed on the carved woodblock and applied with a brush. 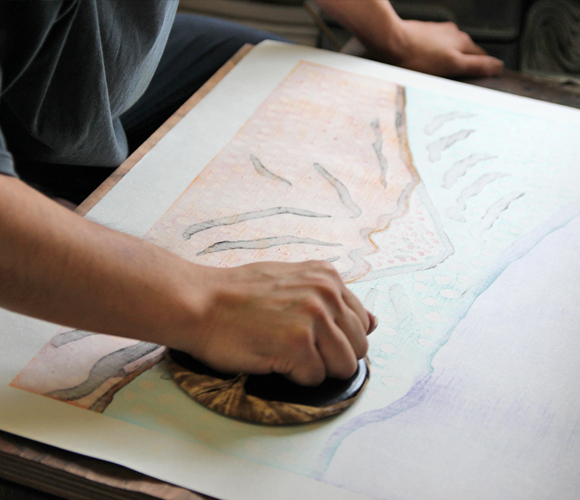 Printed individually by hand, each ukiyo-e displays the vivid colors that are blended by the printer and are a unique feature of woodcut prints. 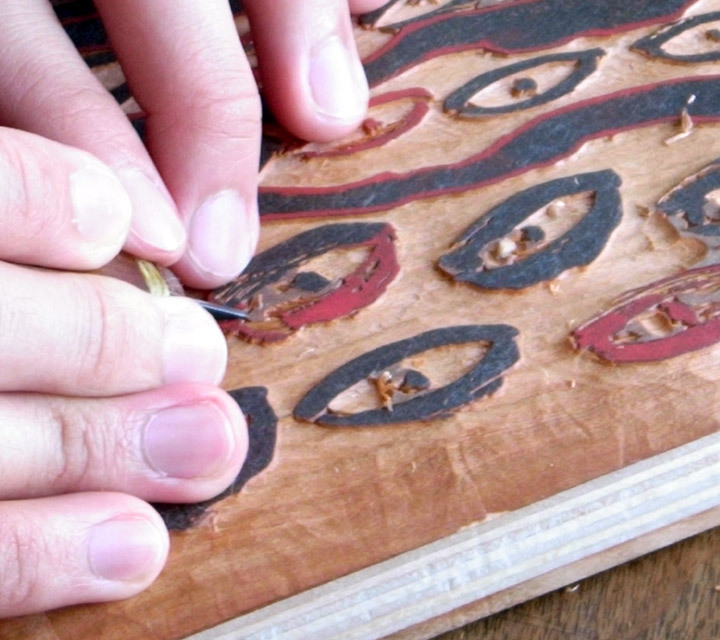 A young carver uses his inventiveness to replicate even the subtle blurs in the brushwork. 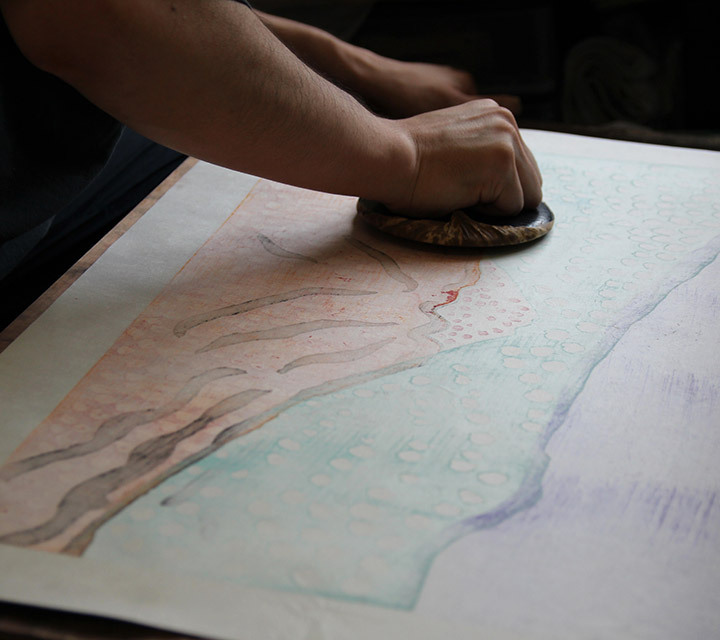 An electric iron is used to round the edges of the carved lines to recreate the nuanced colors and blurs in the paint.Tools that did not exist in the Edo Period are also used to extend the range of artistic expression. In the printing stage, the printer expresses the carver's intent to the fullest extent, demonstrating the excellent teamwork of the artisans. The printer succeeds in creating the nuanced colors that the carver worked so hard to replicate. 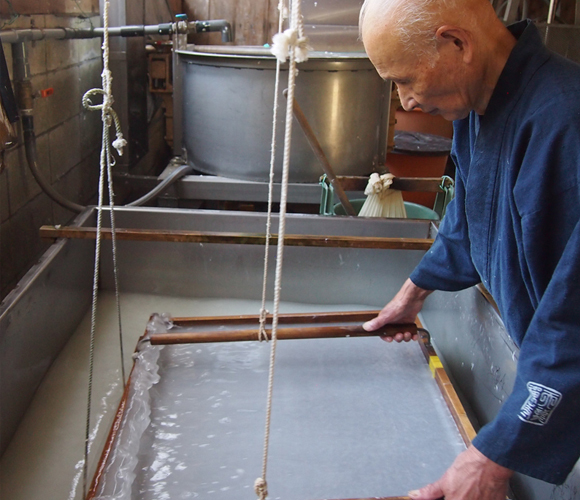 This is a display of the great teamwork of the craftsmen of ukiyo-e, which is characterized by the complete division of labor among specialists. Born in Matsumoto City, Nagano Prefecture, in 1929. Created fantastical paintings using polka dots and nets as motifs from around age ten. Moved to the United States at age 28. 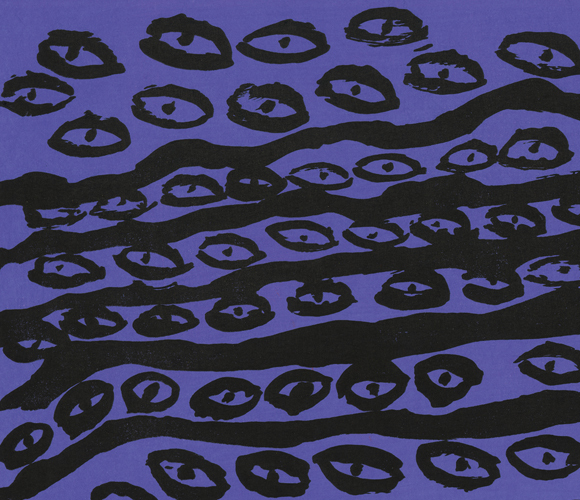 Established herself as an avant-garde artist by staging happenings in New York City in the latter half of the 1960s. Returned to Japan in 1973. Represented Japan at the 45th Venice Biennale in 1993. Her solo exhibition was the first at the Japan Pavilion that year. More recently, her major solo exhibits have been well received during their international tours of famous art museums. This work is extremely popular and we expect that the number of the order would be way beyond it's availability. So we are going to sell it to the individual who is selected in the lottery. *Only one lottery registration can be accepted for each work. *We will chose the winners in the lottery on March 21st (Tuesday). Only winners will be contacted by us.